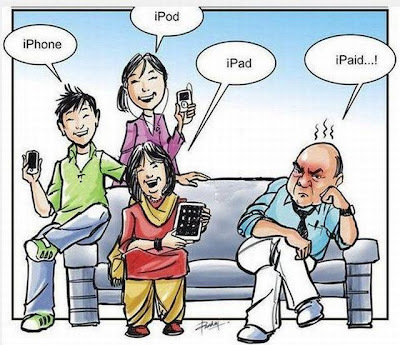 Singaporean iPad, iPhone and Android Blog: i.Paid. All dads know who pays for all those Apple gear on the cool crowd. Everyone have their own choices. Nice idea you have shared with us.